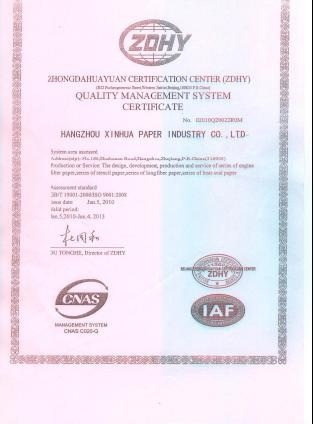 Company Overview - Hangzhou Xinhua Paper Industry Co., Ltd.
16YRSHangzhou Xinhua Paper Industry Co., Ltd. Established in 1992 on the basis of the 40 year old Hangzhou Xinhua Paper Mill, Hangzhou Xinhua Paper Industry Co., Ltd. is a large-scale manufacturer of long fiber specialty paper. Completing all pulping, papermaking and coating processes in-house, we have been commended as a "First-Class Advanced Technology Enterprise in China". With registered capital of USD7,280,000, we are now experiencing annual turnovers exceeding USD15,000,000.Employing more than 700 personnel, including 230 professional technicians, we use such advanced equipment as inclined wire paper machines and combined 4-driver and cylinder papermaking machines. These facilities are complemented by 31 complete coating and production units. 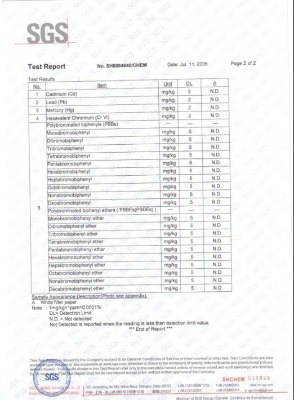 Furthermore, we also have our own research center, product supervision center and computer center.Our "Double Rings" trademark has become famous in the domestic market due to our high standards and large product range. Continually developing new products, our main series now include:1) Long fiber paper: non heat-sealable teabag paper, press washing bag paper, lens cleaning tissue2) Laboratory and medical paper: chemical filter paper, chromatographic analysis and pH testing base paper, medical supervision paper, smoke meter filter paper3) Office paper: stencil paper, computer stencil paper4) Heat sealable paper: heat-sealable teabag paper, silica gel wrapping paper, mask paper5) Internal-combustion engine filter paper6) Vacuum cleaner dust bags and dust bag paperUsing sophisticated manufacturing technology, we are continually innovating our management system, expanding our enterprise size, and recruiting talented personnel in order to grow our market presence. If you are interested in any of our existing products, or have a customized order to complete, please contact our staff with your details. We are looking forward to receiving your correspondences and requirements soon.